Increasingly violent organised crime groups pose the biggest threat to European security, outstripping terrorism and migration, top police from across the continent said Tuesday. Italian mafia groups, Albanians and Eastern Europeans, and "outlaw" motorcycle gangs were the biggest players, officials told a conference led by Italy's anti-mafia agency and the EU police agency Europol. But Asian, African and South American groups were also muscling in on Europe's €110-billion a year organised crime business, with many increasingly working with each other, the meeting in The Hague heard. "Currently organised crime constitutes the highest risk for EU internal security, Jari Liukku, head of Europol's European Serious and Organised Crime Centre, told a press conference. 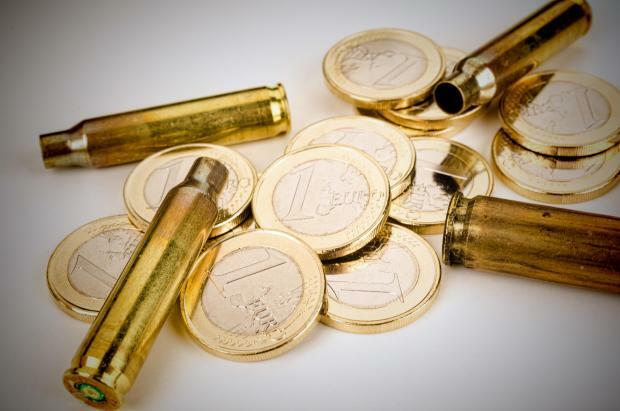 Officials said that organised crime had been "in the shadow" in recent years when Europe faced a wave of terrorist attacks and a huge migration crisis, but that it now had to be tackled by cross-border cooperation. "To prevent organised crime we have to act internationally, because the organised crime groups are already doing it," added Liukku. Giuseppe Governale, head of Italy's Anti-Mafia Investigation Directorate, said the Sicilian Cosa Nostra, Calabrian 'Ndrangheta and Neapolitan Camorra were still the biggest, but added that the problem was more widespread. "This is a European problem," he said. European authorities had to crack down on money laundering in particular as a way of starving organised crime groups of their lifeblood, Governale told the news conference. "Mass money-laundering has a great impact on society, whole sectors are destabilised and it can jeopardise the national economy and security," he added. One hallmark of the new organised crime groups was an increasing level of violence, officials told the conference. Sweden in particular had seen an unprecedented surge of violence akin to a "low intensity form of warfare," senior Swedish police official Jale Poljarevius said. Fatal shootings had risen from around 15 a year in 2011 to over 40 in 2018, while in the first three months of 2019 there had been 12 gun deaths in 67 shootouts -- as well as one dead in 47 grenade explosions. "Sweden has never before seen these kinds of numbers," Poljarevius said. In December EU authorities announced the arrest of around 90 suspected 'Ndrangheta mobsters in six countries in Europe and South America.